US: I love the colour of this cover. It's rick, yet murky and i love that it looks like the sun is setting. I also love the textury look of it, very unusual. I like the silhouette of the rider and the horse, plain yet it stands out. And i like the colour of the font. And also the fact that it's set on a beach, giving away a bit of the story but not too much. UK: I love how bold this cover is and also the fact that there is a love heart around the title. I like the horse rearing and all the swirls that grace the pages. I like the swirly, scratchy font as it's different. Very prety cover. US: So much better compared to the UK version. Although, it’s still not great, but despite the dullness of colours, I quite like it. 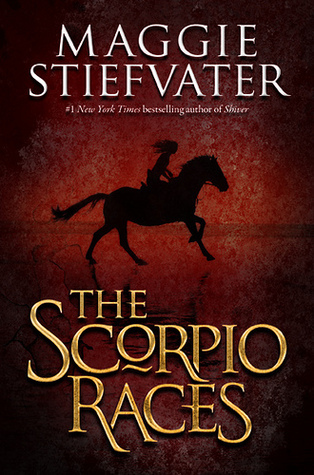 In a way, the dull colours kind of make the cover stand out because a lot of the covers are bright and stand out, and then you have The Scorpio Races that isn’t so that’s a bonus that’d lure you into reading the blurb. I like the font for The Scorpio Races, it’s big and we don’t know what The Scorpio Races is so the title obviously attracts our attention. 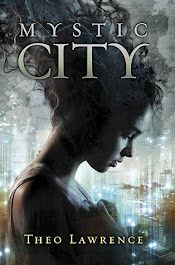 I like the reflection of the girl and horse but it’s faint that you can’t see it so much so I’m wondering whether it could have something to do with the plot of the book or whether it’s just design of the cover. UK: I don’t like it. It’s plain. End of! Although I do like the design around the horse with the love heart and the details coming off from around it, but to be honest it’s nothing special. 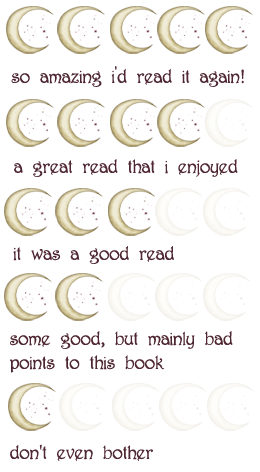 Sorry for the lame review but the cover is that simple that I feel that I can’t analyse it much. Conclusion: Overall, I suppose it’d have to be the US one, but in my opinion these covers are nothing special. 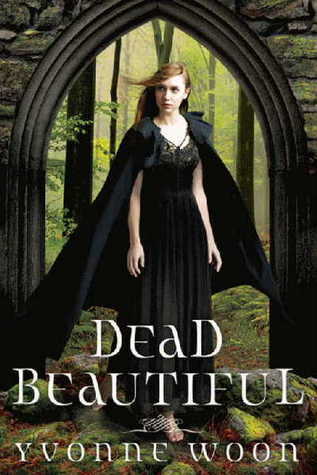 This week I (Katie) have chosen Dead Beautiful by Yvonne Woon. US: I'm actually not too fussed about this cover. I don't actually think there's anything amazing about it. I don't really like the model on the cover but i do like the font for the title. I kind of like the scenery in the backgrounf but i hate what she's wearing. Not pretty at all! 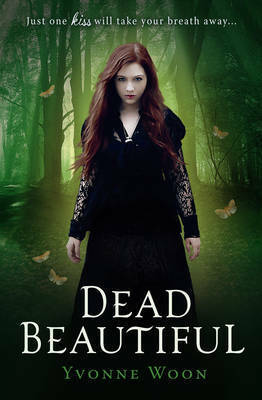 US: I don’t like this cover; the colours seem too bland and blend into one another so it doesn’t stand out, whereas the UK cover has colours that are outstanding with the deepness of the colour. The font is okay and I can kind of see where the cover designers have come from with it; Gottfried Academy. I don’t like the model; she seems really vacant, like she’s just randomly looking anywhere. I’m not a fan of this cover. 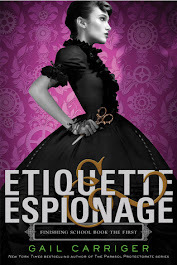 UK: I really like this cover; it’s simple yet attracts your attention. I have read this book, and let me tell you, it wasn’t ‘just one kiss’ that stole my breath away, it was the book! (That was a bad joke, sorry!) Anyway, I like the cover, I like the model and she reminds me of Elena Gilbert from the Vampire Diaries TV show, or is that just me? The woods behind the model fit a part of the description in the book, which is great. I love the tagline and it kept me guessing until Dante (HOT!) explained all. I kept guessing wrong every time and if I’m honest, I love books that just keep you guessing until you get to the end, I love it! 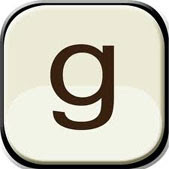 The font of the title is – again – simple but attracts your attention. I really like this cover! Conclusion: I choose the UK cover 100% because it’s so much better with the colours, model and font! 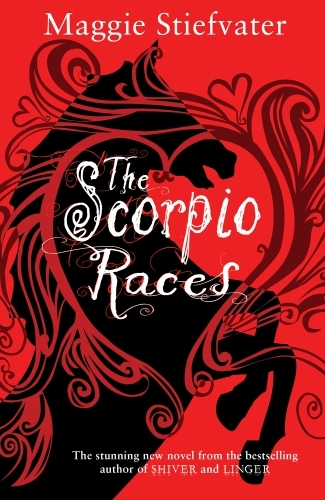 For the Scorpio Races, I like the US cover. In person it so intense and bold.